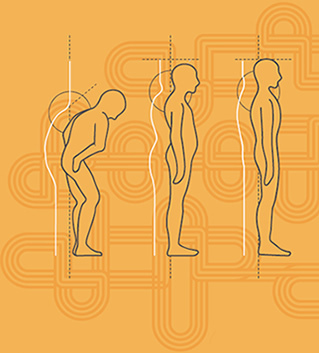 patterns of body shape, subluxation and symptom disappear. Learn how to wow your patients with results they see and feel. These photos were taken before and after an Advanced BioStructural Correction™ (ABC™) adjustment. The participants were volunteers who had not been adjusted with ABC™ before. The only other section criteria was their availability. The instructions for each photo were the same: “breathe in, breathe out, relax and let your body slump”. The ABC™ adjustment was the only intervention between the before and after photo and all photographic conditions remained the same. In each photo pair, black lines were added in consistent positions for the purpose of easier comparison. A total of six participants were adjusted, all showed improvements in sagittal plane posture, these were considered the best four. This seminar has been assessed by the Chiropractors Association of Australia (National) Ltd, on behalf of the Chiropractic Board of Australia, and allocated 14 Formal Learning Activity Hours. Proudly presented by Advanced Biostructural CorrectionTM Australasia. Proudly presented by Advanced Biostructural Correction™ Australasia.